Today’s world makes it harder than ever to teach kids impulse control. After all, we’re used to instant gratification. As stores boast, “No lines, no waiting,” and online TV shows prevent us from having to wait through commercials, we have fewer opportunities to practice patience. Impulse control, however, is vital to your child's success. Not all things in life happen instantly. Whether your child wants to save money for a big purchase, or he's trying to learn a new skill, self-control is key. 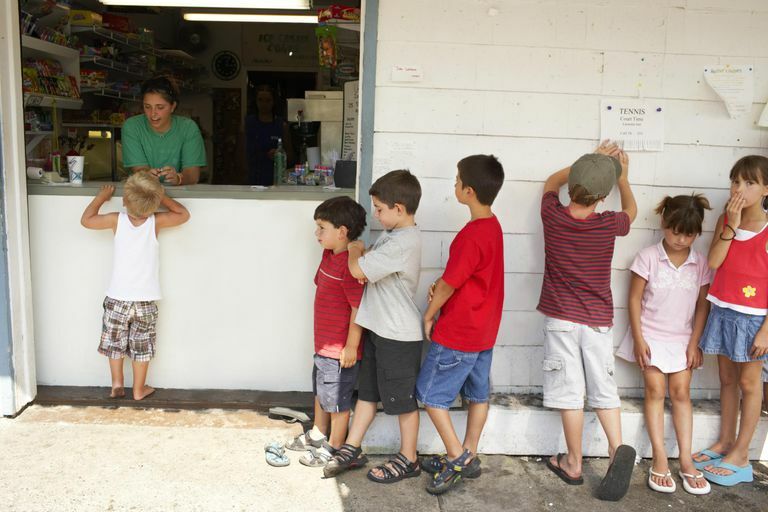 Kids with self-control can successfully stand in line, wait their turn when playing a game and think before they act. They also tend to have more success with their peers because they're able to resist peer pressure and solve problems successfully. Impulse control contributes to academic success as well. Self-control is twice as important as intelligence when it comes to academic achievement, according to neuroscience researchers Sandra Aamodt and Sam Wang, who co-authored “Welcome to Your Child’s Brain." Children who can control their impulses are better able to think about their answers before writing them down and they have better critical thinking skills to solve problems. They can tolerate more frustration when solving problems as well. The Stanford Marshmallow Experiment highlights the importance of impulse control in children. It involved a series of experiments conducted in the 1960s and 1970s by Walter Mischel, a professor at Stanford University. The researchers tested children’s abilities to delay gratification. Children between the ages of 4 and 6 were given a choice between one marshmallow now or two marshmallows in 15 minutes. Most children attempted to wait the 15 minutes so they could have both marshmallows. However, many of them gave in to temptation and only about 30 percent of the children were successful at delaying gratification. Those who were able to wait showed an improved ability to handle stress and manage their anger. The kids who were successful at delaying gratification were able to distract themselves and use self-talk to coach themselves as they waited. Other children were successful by reducing the temptation. Some kids pretended the marshmallow was a cloud while others told themselves it was only a picture of the marshmallow instead of the real thing. A follow-up study on the children who were able to delay gratification found they exhibited fewer behavior problems. They were also more popular with their peers and able to sustain friendships longer. Their impulse control served them well later in life. Kids who were able to delay gratification early on had higher SAT scores as teenagers. A 2017 study published in Economics Letters found that childhood self-control predicts whether an individual will contribute to a retirement plan as an adult. Researchers concluded childhood self-control predicts a 4 to 5 percentage point higher probability of having a pension. Toddlers – Toddlers lack impulse control in almost every aspect of their lives. They throw themselves to the ground, kick, or hit without any regard and this is normal. However, it’s a great time to start introducing the concept of patience to your child. Preschoolers – Preschool children should be showing fewer temper tantrums and they should be gaining better problem-solving skills. However, it’s normal for them to continue to have occasional outbursts, including aggression. Grade Schoolers – Grade school children should have a good handle on impulse control when it comes to their bodies. They're usually less apt to grab something out of someone’s hand and should be able to respond to a problem without aggressive behavior. It's normal for them to struggle with verbal impulses, as many of them continue to say rude comments or blurt out answers without thinking. Teens - Although most teens would like to say they have full control over their impulses, it isn’t likely. When compared to adults, teens tend to be bigger risk takers, more emotionally volatile, and more vulnerable to peer pressure. Their developing brains continue to cause them to focus more on short-term gains rather than long-term consequences at times. Impulse control isn't an innate characteristic. It's a learned skill that any child can develop but you need to proactively teach your child impulse control skills. With practice and guidance, he'll improve his ability to think before he acts. And you'll likely prevent many behavior problems before they start. Aamodt S, Wang S. Welcome to Your Child's Brain. New York, NY. Bloomsbury USA. 2012. Lades LK, Egan M, Delaney L, Daly M. Childhood self-control and adult pension participation. Economics Letters. 2017;161:102-104.